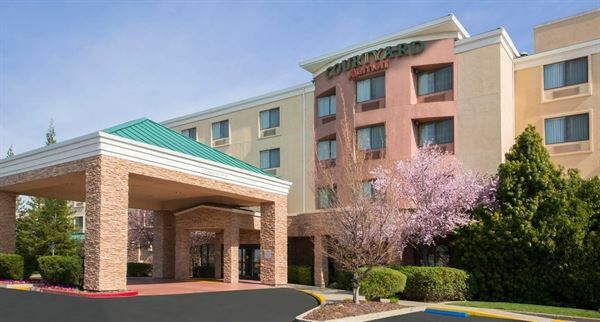 Courtyard Sacramento Folsom is the top choice of hotels in Folsom, CA. Located off Highway 50 a short trip from downtown Sacramento, Lake Tahoe, and many other attractions, Courtyard Sacramento Folsom is all for a hassle-free stay. We are walking distance form the beautiful Palladio Shopping Mall. Enjoy the abundant outdoor recreation of Folsom or visit local attractions like Folsom Premium Outlets, Lake Natoma, the Folsom Prison Museum or venture out to El Dorado Wine Country. Our hotel features spacious guest rooms and thoughtful amenities that include free Wi-Fi, parking, indoor pool, and express check-out. Begin each morning with a made-to-order breakfast from the Bistro, or visit the fitness center for an energizing workout. Our meeting room is perfect for corporate/social events up to 30-45 guests.